Canadian Down Syndrome Week is CDSS’s way of showing the world Canada is a country where ALL people are valued, fully participating citizens. 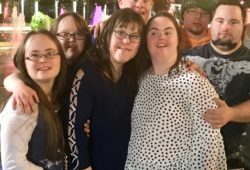 What is the Canadian Down Syndrome Week? 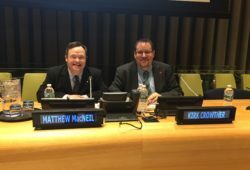 Created by the Canadian Down Syndrome Society, Canadian Down Syndrome Week (CDSW) will be celebrated in place of National Down Syndrome Awareness Week, every November 1 to 7. The Canadian Down Syndrome Society’s annual “See the Ability” billboard is also unveiled to celebrate National Down Syndrome Awareness Week. The name change to ‘Canadian Down Syndrome Week’ is aimed at celebrating the great efforts of Canadians in our incredible community. CDSW provides a unity to our message and furthers our mission, “To empower Canadians with Down syndrome and their families.” It also allows us to differentiate ourselves from other awareness initiatives, and celebrate the uniquely Canadian experience of people with Down syndrome. “See The Ability” is CDSS’s message aimed to encourage the inclusion and celebration of people with Down syndrome, and to dispel myths and stereotypes. Information about current and past billboards raising awareness for CDSW and the Down syndrome community. Download your own CDSW package for ideas on events, media exposure, materials and more. CDSS thanks our amazing sponsors for their ongoing support and partnership of Canadian Down Syndrome Week.